A tummy tuck or abdominoplasty is a cosmetic surgery procedure which flattens the abdomen by the removal of excessive skin and fat deposits, and tightens the muscles of the abdominal wall. 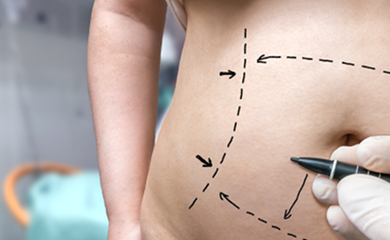 Women who’ve been through one or more pregnancies can take advantage of this procedure for removal of excessive abdominal skin and tightening of the abdominal muscles. Tummy tuck in Baltimore, MD or other places in the world is also beneficial for individuals who have lost weight but still have extra fat deposits and loose skin around the abdomen. In this procedure, your abdomen will be thoroughly cut from the hipbone. Then your skin, muscles, and tissues will be contoured as needed. This surgery involves displacement of your belly button and placement of drainage tubes under your abdominal skin for a week or two. A mini tummy tuck is usually carried out on those individuals who have extra fat deposits below their navel. This procedure doesn’t require displacement of the belly button and takes two to three hours to complete. If you’re a smoker, you’ll need to quit smoking at least two to three weeks before the surgery. Also, your surgeon will need all the information about your medical history, ailments, prescription medicines, herbal drugs, or any other supplements you are taking. It must be known that the tummy tuck is strictly a body contouring procedure and it’s not an alternative for weight loss or exercise program. Also remember, the results of a tummy tuck procedure can greatly decline if you gain weight in the future. Because of this reason, a tummy tuck is not recommended for individuals who are planning massive weight gain in the future or women who are planning future pregnancies. It’s advisable to postpone the procedure until you acquire your desired permanent shape and weight. Plastic surgeons of Baltimore further elaborate that tummy tuck procedures can’t diminish the stretch marks but can improve if they’re present on the excessive skin that is to be removed. During your recovery period, bandages will be applied to the incisions and a compression garment might be wrapped on your abdomen in order to decrease the swelling and provide support to your belly as it heals after the surgery. Usually, heavy physical activity is restricted for at least six months after the surgery and the patient can return to work after one month of the procedure. Tummy tuck in Baltimore is considered safe, effective and reliable, owing to the top facilities and expert cosmetic surgeons of the area. Previous post You Are Invited to Our Annual Spring Event! Next post Is Bigger Necessarily Better?